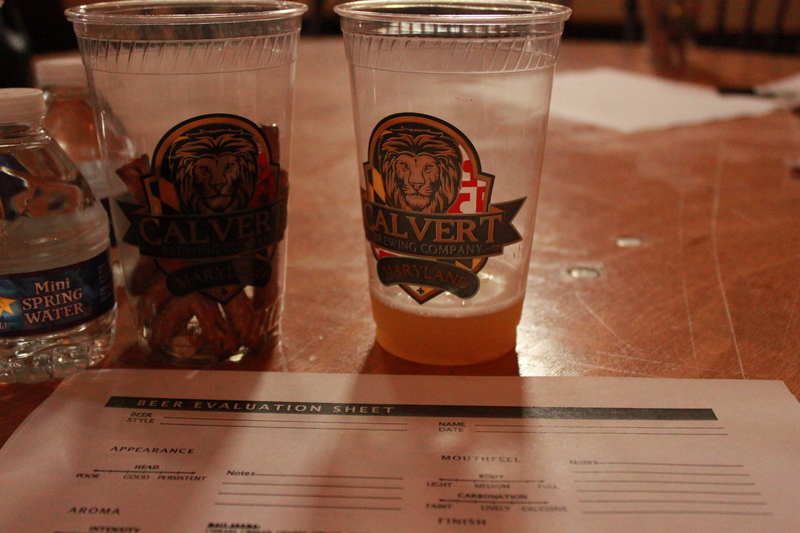 A few weeks ago I got an invite to a private tasting at Calvert Brewing Company to provide some feedback on their pilot beers. 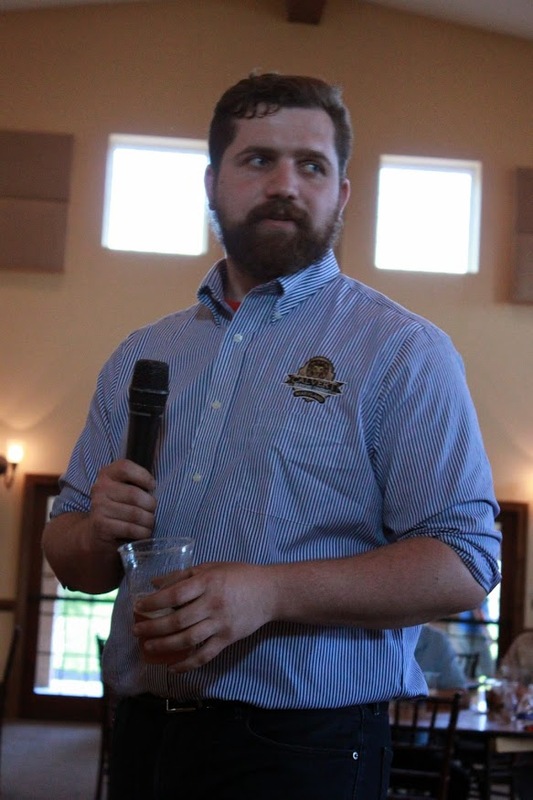 Calvert is a new brewery venture from the owners of Running Hare Vineyard in Prince Frederick, MD, and I’ve been watching their progress closely because their head brewer, Matt Ducey, is a member of the Annapolis Homebrew Club that has now gone pro. Calvert Brewing’s commercial brewery is still in the works, but construction seems to be coming along nicely. For now the two brewers, Matt and Nick, are working on recipes on their pilot brewery. It’s these pilot batches that I was invited to try, and they will scale up these recipes for the full-scale commercial brewery once its up and running. The tasting was at Running Hare Vineyard, and I was allowed to bring one guest so a convinced Liz to come along with me. 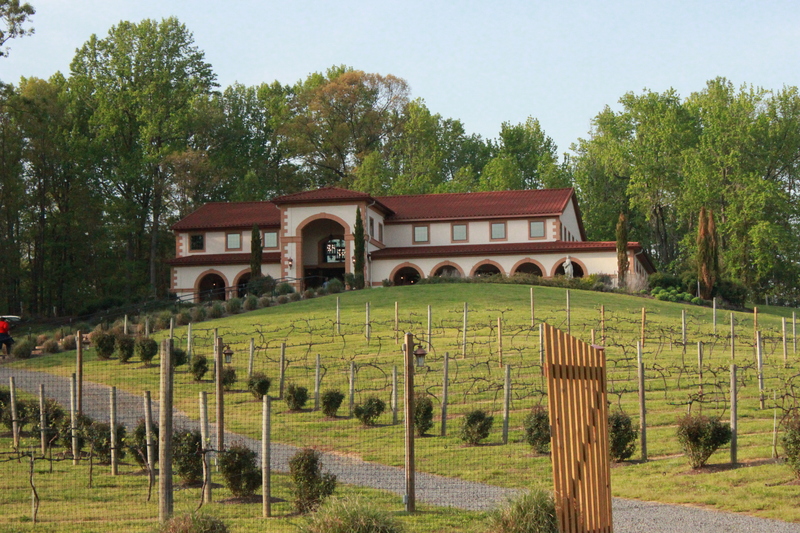 We made the drive down to Prince Frederick and found the vineyard was on a beautiful hillside on an old farm. 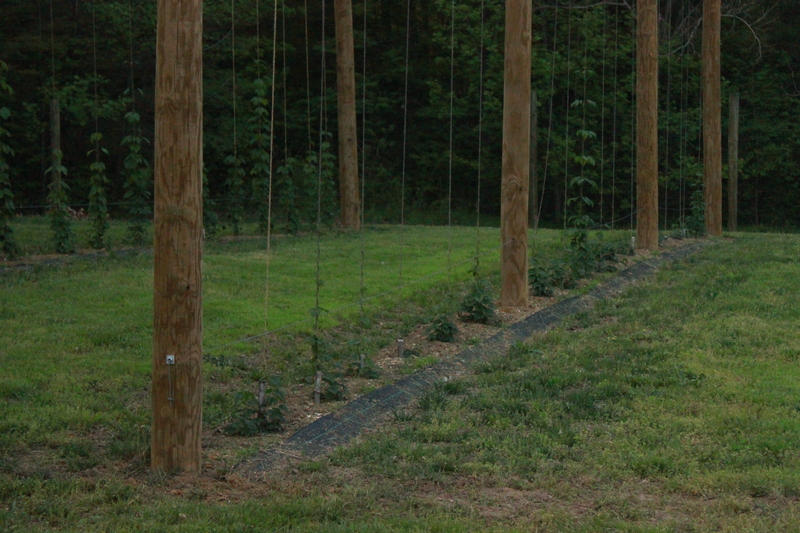 We also found that they’re beginning to grow their own hops. Once we arrived we got a chance to try four different beers and provide our feedback. The beers in the lineup were an American Wheat, a Rye, an American Pale Ale, and an American IPA. The American wheat was a spot on perfect execution for what an American wheat beer is supposed to be. It was clean, it was light, it had a grainy wheat flavor, a hint of floral hops, and it was refreshing. I’m not a fan of American wheat beers, but this was very well done and something you could easily drink in the hot summer months. The rye beer was something entirely different than any other rye I’ve ever tasted. Rather than have that typical rye “bite” this beer was rather sweet and the rye almost unnoticeable. The sweet malty flavor was tempered by just the slightest hint of rye at the end and in the aftertaste. I really liked this beer even though it wasn’t what I expected when I saw that it was a rye. Calvert is doing something very different with this beer and I can’ t wait to see where it ends up between now and when they go into full production. For me the crown jewel of the evening was the Pale Ale. This thing rivaled some high quality west coast IPAs with the amount of fruit and citrus hop flavor that it slammed in my face. It may as well be labeled an IPA. If Calvert can recreate this beer at a commercial scale, and relabel it, then they may have one of the best IPAs in Maryland. The only beer that let me down was the beer that was actually labeled an IPA. The aroma was citrusy and a little boozy, but the flavor was a straight up punch in the mouth of hop bitterness. Very little of the hop flavor was there, or else it was hidden behind the impenetrable IBU armor. 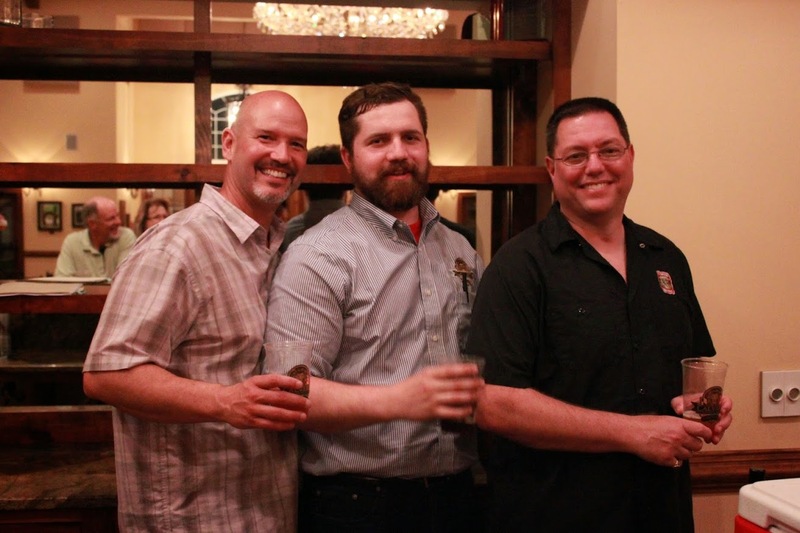 Calvert has a great bunch of folks on their team, and Matt and Nick are putting together some very good beers. It won’t be much longer until the brewery construction is complete and then they’ll be scaling these up to brew commercially. You will definitely want to check them out when they are up and running. Previous The Beer Spy Hit 10,000 Views!